In a recent Income Investors post, I told you all about my favorite group of dividend stocks for earning safe returns: those with high yields. These companies don’t have much of a “cool factor.” For that reason, you don’t often hear them mentioned on TV or around the office water cooler. But for those willing to trade white-knuckle excitement for reliable income, you’ll like these stocks just fine. Many of them have quietly beaten the market for decades. Better still, it’s not uncommon to find some name paying out dividend yields between 12% and 21%. I like to call this group of stocks my “cash cows.” These firms represent mature businesses with entrenched market positions and ample cash flow. Because they have less in the way of growth potential, owners can milk these operations for ongoing dividends. In other words, these operations pay out much higher yields than traditional dividend stocks. Cash cow businesses often pay out close to double-digit yields right up front. This means investors don’t have to wait for years of distribution hikes just to earn a decent stream of income. Case in point this time: AmeriGas Partners, L.P. (NYSE:APU). The partnership owns the largest propane distribution operation in the country, heating millions of homes coast to coast. And with a dividend yield approaching 10%, income hunters may want to give this business a second look. When most people think of the energy business, oil and natural gas probably come first to mind. But another niche in the industry, one that never makes the news, is one of the best places to invest for income: propane. The commodity is a byproduct of oil and natural gas processing, which the industry has recycled as a fuel for home heating. Unfortunately, at least for AmeriGas, most homes now have access to natural gas. 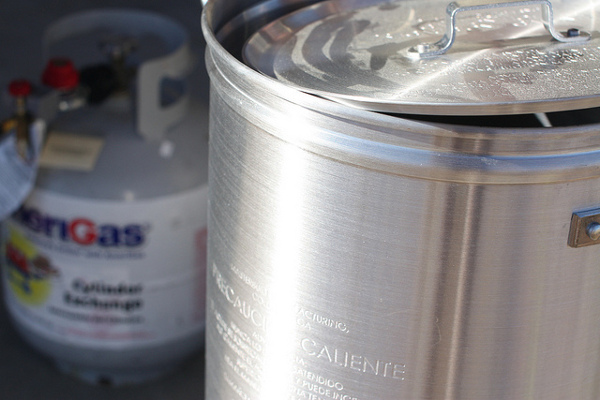 As a result, propane demand grows at a glacial pace (only between one or two percent each year). It’s still a good business, though. 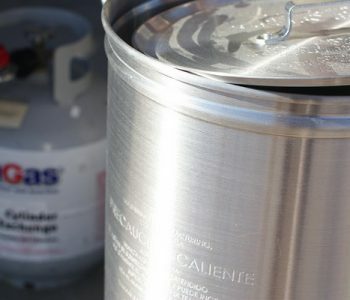 Like the oil and gas pipelines we’ve covered in previous posts, propane distributors charge a fixed markup on each gallon sold. So, while commodity prices swing wildly from year to year, gross profits stay relatively stable. And because industry growth has flatlined, management has little need to invest in new properties, plants, or equipment. Aside from the occasional bolt-on acquisitions, executives just milk the operations for ongoing dividends. Such a commodity business would not be that profitable except for one thing: AmeriGas, not their customers, own the storage tanks on the customers’ sites. By owning the tank, the partnership can stop any other propane seller from filling it. If you switch to another supplier across town, AmeriGas will show up with a tractor and tear up your yard to retrieve their tank. Would you be willing to have your backyard turned into muck just to save a few bucks? Probably not. Such a hassle gives homeowners a strong incentive to stick with one distributor. As a result, AmeriGas can raise their markup on propane supplies year after year, without the worry of losing customers. In financial jargon, analysts call this phenomenon “switching costs.” Switching costs constitute any inconveniences or one-time expenses that customers incur to move over from one product to another. When companies raise the price of switching to a competitor, they can charge higher prices than they could otherwise get away with. That benefit lands squarely in the pockets of shareholders. You can see the strength of this business in the company’s financial statements. Each year, AmeriGas earns between $0.15 and $0.20 in profits on every dollar of capital invested into the business. This figure, of course, varies by industry. But off the top of my head, I could only list a handful of companies that generate returns like this year after year. That has translated into some impressive profits for unitholders. 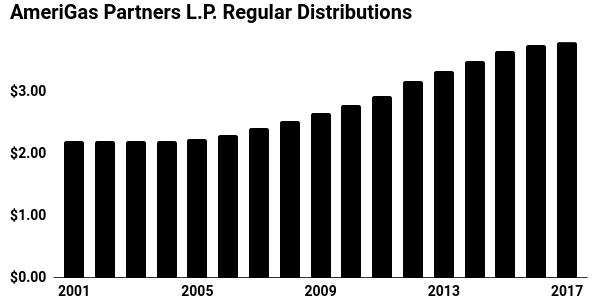 Since 2000, AmeriGas has generated a total return (including distributions) of 700%. This business might not make a lot of headlines, but its results sure should. If these attributes didn’t impress you enough, AmeriGas’s dividend track record certainly will. Management has boosted the distribution every single year since 2004, raising the payout by three or four percent each year. This distribution looks reasonably safe. Current cash flow more than covers the payments to unitholders. To fund recent acquisitions, management has taken on quite a bit of debt. We’d prefer to see a bit more room for error, but the stable nature of AmeriGas’s business mitigates those concerns. That payout should continue to grow, too. At best, propane volumes will stay flat or decline slightly over the next decade or so. AmeriGas should be able to offset any declines by raising prices at or above the rate or inflation. We expect management to continue to boost the distribution between three and four percent annually. This number could be improved further by small acquisitions and squeezing more efficiencies out of operations. Management also has a big built-in incentive for raising the distribution. Pennsylvania-based UGI Corp (NYSE:UGI) controls AmeriGas as its general partner. This means the utility is entitled to a slice of any profits paid out to unitholders. As such, the incentives of the large owners line up with those of the regular investors quite nicely. For shareholders, the combination of a big up-front yield and modest growth should translate into handsome returns. At today’s prices, the distribution yield on these units comes out to almost 10%. Add our growth forecast of three percent per year, and units should provide an annual total return in the low teens. That more than meets our hurdle rate and represents one of the better income streams available today. Of course, you can’t call AmeriGas the world’s safest bet. Weather can have a big impact on the partnership’s profits, for instance. While the company’s markup tends to stay stable, propane demand can swing wildly from year to year. In the event of a warm winter, households burn a lot less heating fuel. And after a few mild seasons in a row, AmeriGas has seen profits dip (hence the recent weakness in the unit price). That said, these weather events tend to even out over time. Investors also need to keep an eye on debt. As mentioned above, AmeriGas has levered up its balance sheet to fund recent acquisitions. That leaves the business vulnerable to a sharp spike in interest rates, which would really eat into profits. At the moment, unitholders shouldn’t lose too much sleep. Management has done a good job locking in today’s low rates for quite a long period of time. Executives have also left themselves lots of financial wiggle room, which should allow them to easily stomach a few bad years in a row. If that debt load continues to grow, however, we may have a revisit our bull thesis. The Bottom Line on AmeriGas Partners, L.P.
AmeriGas cranks out one of the highest yields you can find today. Traders also looked down upon on this partnership because everyone knows that future earnings growth will be so-so at best. Propane demand topped out years ago, and the business just chugs along year after year. Then again, no one should think that a stock yielding almost 10% deserves to produce much growth. You’re milking this cash cow business for the dividends and not much else. Come to terms with the fact that AmeriGas Partners, L.P. won’t make for the most riveting conversation at the next cocktail party. But with a yield this high, investors who sit around patiently reinvesting their distributions will likely trounce the market as the years go by. It’s a wonderful thing to watch.